Mario Lemieuz is a well-known former ice hockey player. Mario is now known as the owner of such teams as “Wilkes – Barre/ Scranton Penguins” and “Pittsburgh Penguins”. He also played for the “Pittsburgh Penguins”. In addition to this, Mario was a part of Canada’s national team which won the gold medal in the 2002 Olympics. During his career, Mario has won the Lester B. Pearson Award, Conn Smythe Trophy, Art Ross Trophy and other significant awards. What is more, Lemieux was included in Canada’s Walk of Fame in 2004. Despite his success as a hockey player, Mario has experienced quite a lot of health problems which did not allow him to perform to his best. So how rich is Mario Lemieux? It has been estimated that Mario’s net worth is $45 million. There is still a possibility that this sum will become even higher in the future. 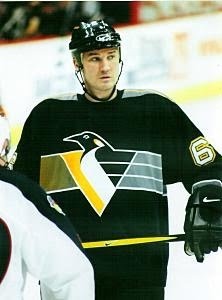 Mario Lemieux was born in 1965 in Montreal, Canada. From a very young age Mario was interested in hockey and he even used kitchen tools for practicing, together with his brothers. Mario began his career while playing in the team, called “Laval Voisins”. From that time he showed his incredible skills and even broke the league record for points in a season. In 1984 Mario began playing for the “Pittsburgh Penguins”. This was also the time when Mario Lemieux’s net worth began to grow quickly. Step by step Mario became more popular and acclaimed. Unfortunately, Mario had to miss quite a lot of games because of his health issues, although despite suffering from a serious back compaint, Mario was still able to lead his team to the Stanley Cup. However, in 1997 Mario decided to retire because of repeated health issues. His retirement was not that long, as Mario came back in 2000. Although he had a break, Mario came back as if nothing had happened to him and showed his best game. This had a huge influence on the growth of Mario Lemieux’s net worth. After leading his team to many victories, in 2006 Mario announced that he would be retiring again, but this time permanently. Despite this fact, he is still the owner of the team and this makes Lemieux’s net worth grow. In addition to his career, Mario is also involved in charitable activities, including the foundation called “Mario Lemieux Foundation”. He also contributed a lot when the foundation “Athletes for Hope” was created. Mario also helps other organizations, and is interested in creating other foundations that would help people. All in all, it could be said that Mario Lemieux is one of the best ice hockey players in the history. He was able to overcome his health problems and show the best skills he could. He achieved a lot during his career and maybe would have achieved even more if he wouldn’t have to suffer from a lot of pain. As mentioned before, there is a high chance that Mario Lemieux’s net worth will become even higher as he is still the owner of ice hockey teams and is involved in other activities. 1 On her husband: He's a hockey player, and he's very good at it, but I married the person. 4 Became the first person in history to win the Stanley Cup as a player (1991, 1992) and as an owner (2009). 5 3 out of 4 of his children are hockey players. 6 Gave the car he won in a Hockey All-Star game to Nathalie Asseslin. 7 Admits to sleeping with the Stanley Cup in 1991. The cup slept between Nathalie and him. 8 In 2009, he was knighted in Quebec. He is now 'Sir Mario Lemieux'. 9 Brother of Richard Lemieux. 10 Was named as the 1984 Molson/Cooper Canadian Major-Junior Player of the Year, while with the Laval Voisins of the Quebec Major Junior Hockey League. 11 Baroque comic opera "The Loves of Wayne Gretzky" by composer Brad Walton debuted in Toronto. In it, Gretzky leaves his wife for Lemieux (February 1994). 13 Surname in French means "the best." 17 Named to the World Cup roster for Team Canada, along with 13 other NHLers who also won gold in the 2002 Olympics, in Salt Lake City. 18 Member and Captain of the 2002 Canadian Olympic Gold Medal Hockey team. 19 Art Ross Trophy (1988, 1989, 1992, 1993, 1996, 1997). Bill Masterton Memorial Trophy (1993). Calder Memorial Trophy (1985). Conn Smythe Trophy (1991, 1992). First All-Star Team Centre (1988, 1989, 1993, 1996, 1997). Hart Memorial Trophy (1988, 1993, 1996). Lester B. Pearson Award (1986, 1988, 1993, 1996). Second All-Star Team Centre (1986, 1987, 1992, 2001). 23 Son Austin was born 3 months prematurely, weighing just 2lbs., 6 oz. 25 Met future wife Nathalie when she was 15 and he was 16. 27 Scored a goal in his first ever NHL shift and got an assist in his first shift in his comeback. 29 Shares birth date with Patrick Roy. 30 Brother Alain played for St. Louis, Québec, and Pittsburgh during six seasons in the NHL. 31 Selected by the Pittsburgh Penguins in the 1st round (1st overall) of the 1984 NHL Entry Draft. 32 Was retired during the 1997-1998, 1998-1999 and 1999-1900 seasons due to various injuries. 33 Youngest of three sons. 34 (January 12, 1993) Penguins announce Lemieux has been diagnosed with a Nodular Lymphocytic form of Hodgkin's disease. 36 Considered suing a Pittsburgh sports-talk station whose host "jokingly suggested" that Lemieux pushed for the Penguins to acquire Petr Klima because Klima's wife and Lemieux's wife were lovers. 38 He and wife Nathalie's first child, Lauren, was born weeks before their wedding. 40 (March 2, 1993) Returned to the lineup hours after getting last radiation treatment. 43 (December 27, 2000) Played first NHL game since his retirement vs. Toronto, collecting three points, recording an assist just 33 seconds into the game. 44 (March 01, 2002) Announced he would miss the remainder of the season due to chronic tendonitis in the major hip flexor muscle, as well as inflammation of the hip capsule.